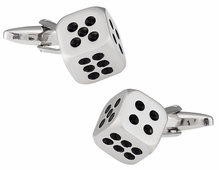 As you examine the different gambling sets, you'll notice that there really is something for everyone. 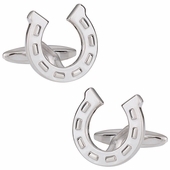 Your friend might be more of a horse racing buff that would enjoy a set of horseshoes, or horse racing cufflinks. 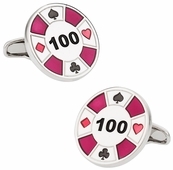 As you take a stroll down casino lane, consider the roulette wheel. 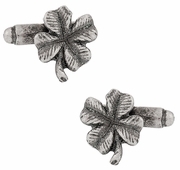 There is always something fun about this lucky wheel. 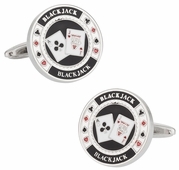 Whether you choose red or black you are always a winner with our roulette design. 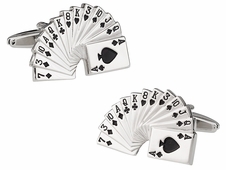 Perhaps you want to stack the dominoes in your favor with our classy silver set. 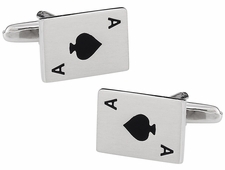 It would be too easy to yell "VEGAS BABY! 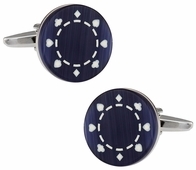 ", but that is a bit overplayed now. 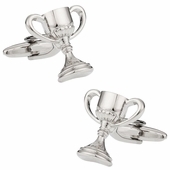 That's right, you are shopping in Cuff-Daddy's gambling cufflinks category. 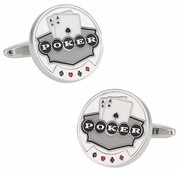 We sell various gambler cufflinks to meet most of your needs. 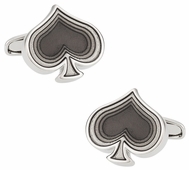 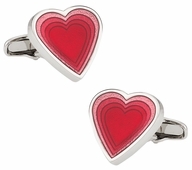 OK, we admit, we don't carry baccarat cufflinks, but we've covered the other bases well. 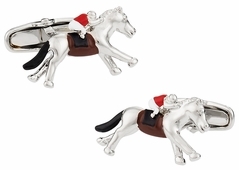 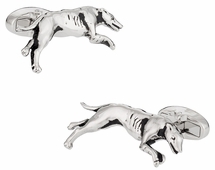 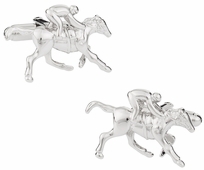 We carry horseracing cufflinks for those who love to bet on the ponies. 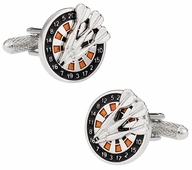 Roulette cufflinks, power chip cufflinks, craps, poker cufflinks, dominos, and many others make this a fun category to shop. 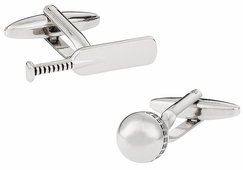 Best of all, all cufflinks are covered by Cuff-Daddy's product guarantee and low price guarantee. 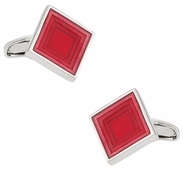 Now, you can shop with total confidence. 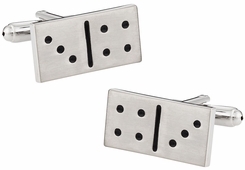 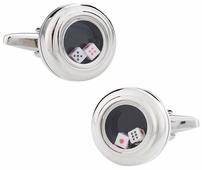 Gamblers don't to be anonymous anymore with these stunning choices in Gambling cufflinks from Cuff-Daddy.com. 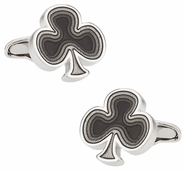 From lady luck to the perfect hand, you have a winner in every chosen style. 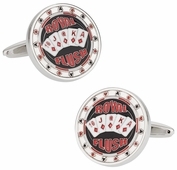 If your idea of a fun Spring break is sitting down at a felt poker table instead of on the beach, you are in the perfect spot. 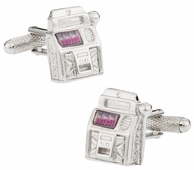 If your luck usually show up more in slots, the One Armed Bandit is waiting for your arm in the slot machine cufflinks set. 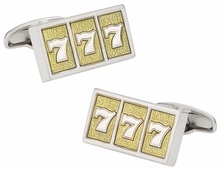 If you're looking for something a little smaller perhaps the Lucky 7s slot machine bars will show your winning attitude. 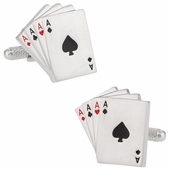 Gambling comes in many forms so while there are decks of cards and slot machines, you might be someone who really isn't into these games and you prefer dartboards and darts. 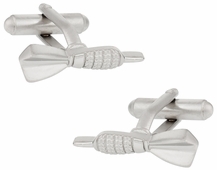 Whether you want the full board or just the darts, you have plenty of options.